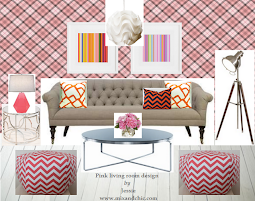 Mix and Chic: High style home office design inspirations! 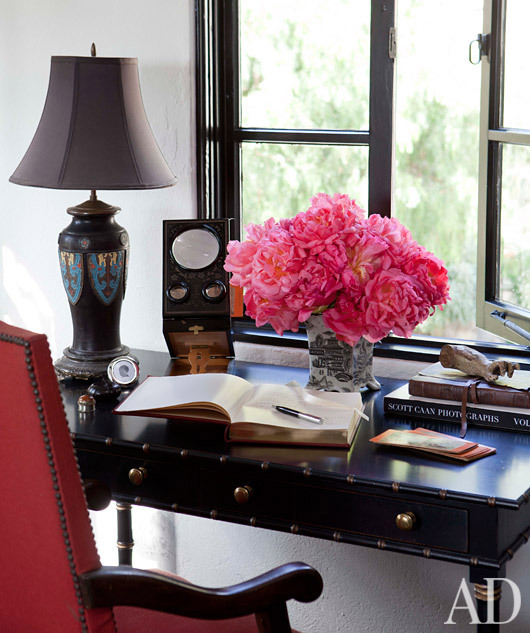 An upholstered French style arm chair with nailhead trim, a black Chinese Chippendale writing desk, a Chinese vase, fresh flowers, several books and other vintage accessories exudes a sense of feminine elegance with a global touch. A sleek and well designed home office combined with the simplicity yet iconic Zettel'z 5 chandelier light fixture by designer, Ingo Maurer encourages the eyes to focus on the beautiful view outside. A strong architectural feature and beautiful custom built-in circular writing desk in a traditional home office creates a sense of classic sophistication. 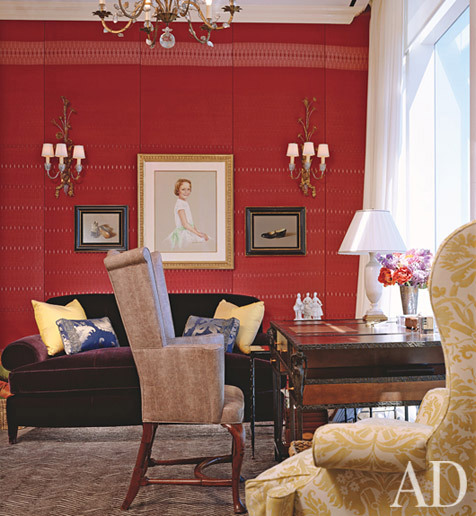 A gorgeously upholstered wall in red silk and contrasting subtle zebra-stripe carpet heightens the warmth and beauty of the study while maintaining a sense of feminine charm. A simple and traditional home office covered with neutral grasscloth wallcoverings and neutral carpeting was given an unexpected twist with an oversized table lamp. A combination of French furnitures with different styles, modern artwork and unconventional color scheme creates an eclectic, chic and elegant writing room. 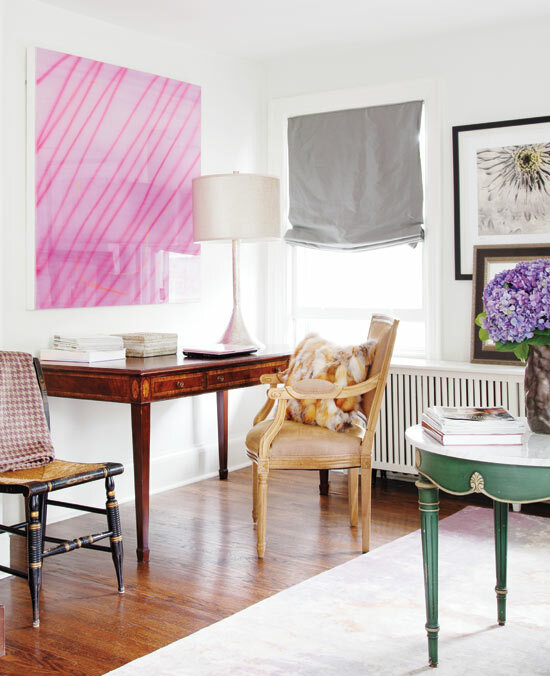 An all white contemporary home office space with crystal chandeliers, a Lucite chair, glass table lamp, custom built-in desk and drawers looks fresh and chic with a splash of purple accent. 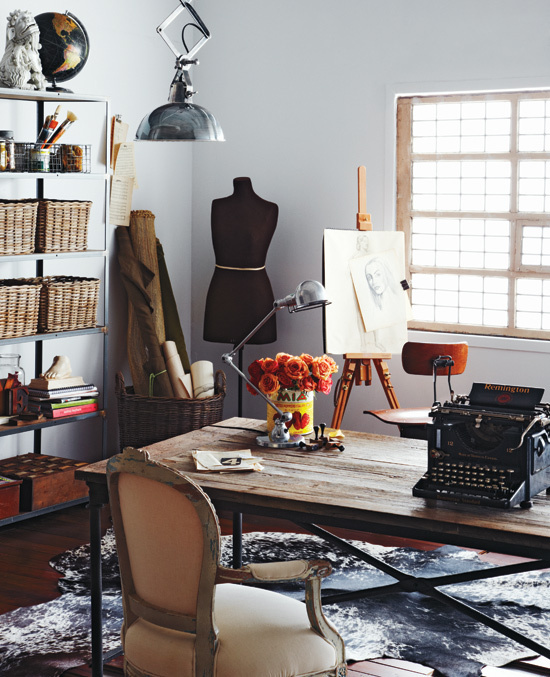 A gorgeous office space filled with antique French arm chair and reclaimed wood table accessorized with fresh flowers, vintage typewriter, a mannequin and a beautiful cow hide rug exudes chic sophistication. A contemporary white office space with the addition of built-in bookcases, fabric sofa, wood coffee table and a simple area rug conjures a sense of tranquility, perfect for writing or lounging. 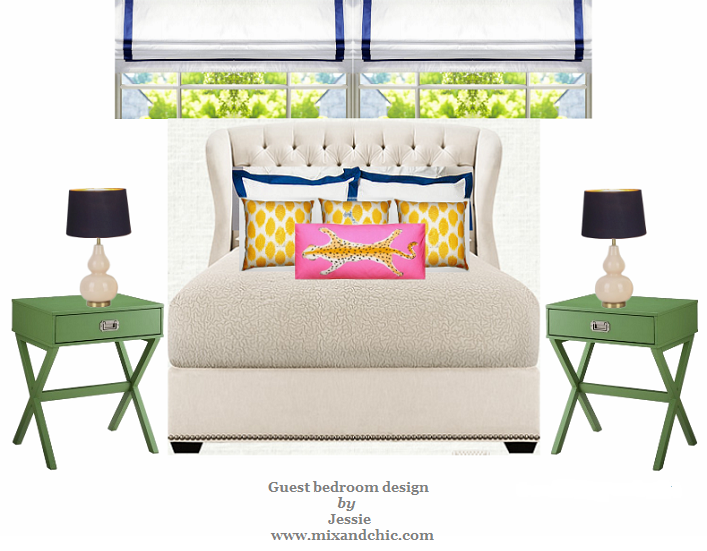 A strict white palette minimalist home office space with colorful accents throughout exudes chic simplicity.